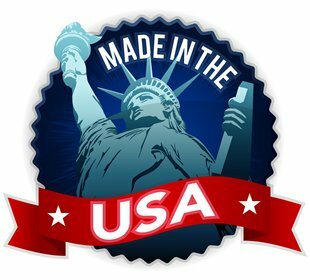 This is a long scrolling page.. please scroll down! 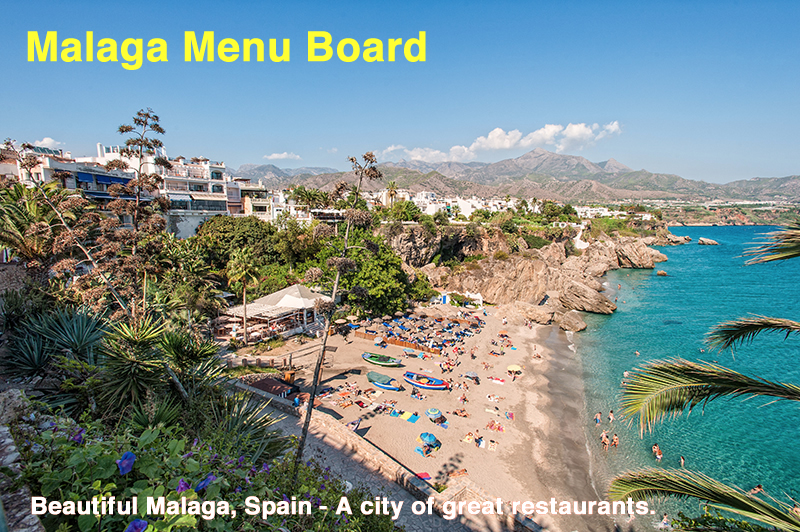 Please scroll all the way down the page to see another great image of the Malaga Menu Board in use!! & its effectiveness is proven. 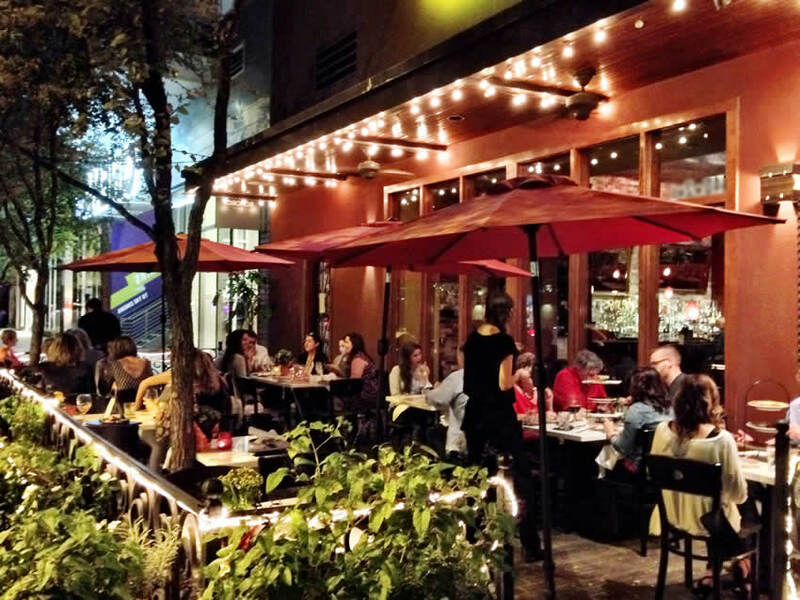 It's the way to put a protected menu front & center- instantly. 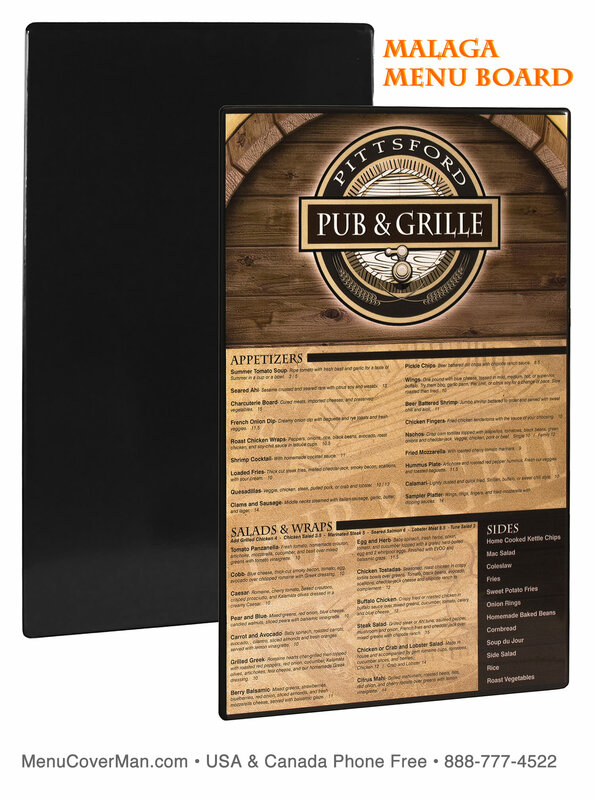 When you rely on a single menu sheet with printing on one or both sides, Malaga allows you to protect that menu- & prevent unnecessary expense- & save your valuable time from always having to reprint it every week due to dirt, grease, tearing & folding. Quality hard-board backing, 2 clear vinyl pockets. Black. Top loading- except the 11" wide x 17" tall size, which conveniently loads on the side. 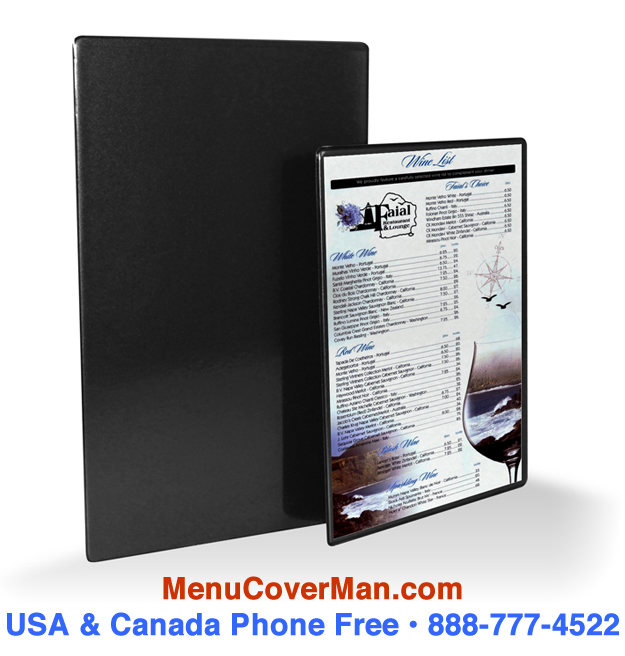 Malaga Menu Board is the easy & inexpensive way to put your fabulous menu there. The Malaga allows you to display TWO menus- one on either side of the central board. 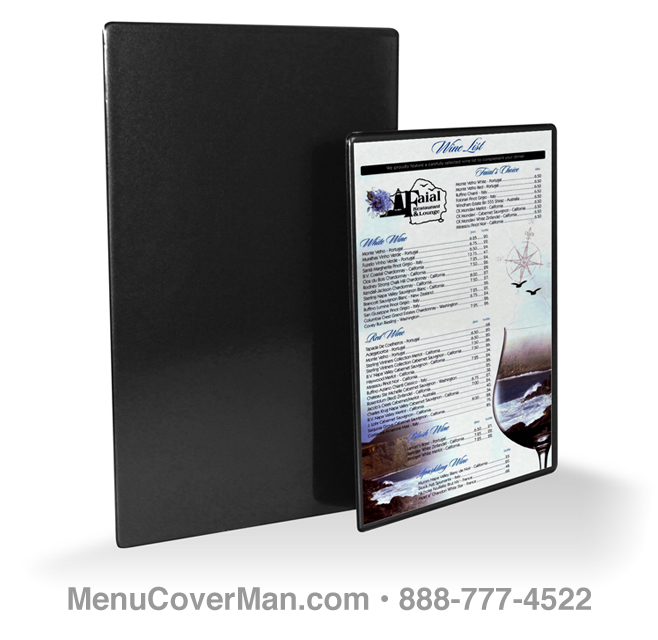 OR, you may choose to only display a single menu, which would then more prominently show the black menu board itself on one side. Beautifully rounded corners add to the effect. which is 5.5" x 8.5"
Please measure your insert size carefully. which is 8.5" x 11"
which is 8.5" x 14"
which is 11" x 17"